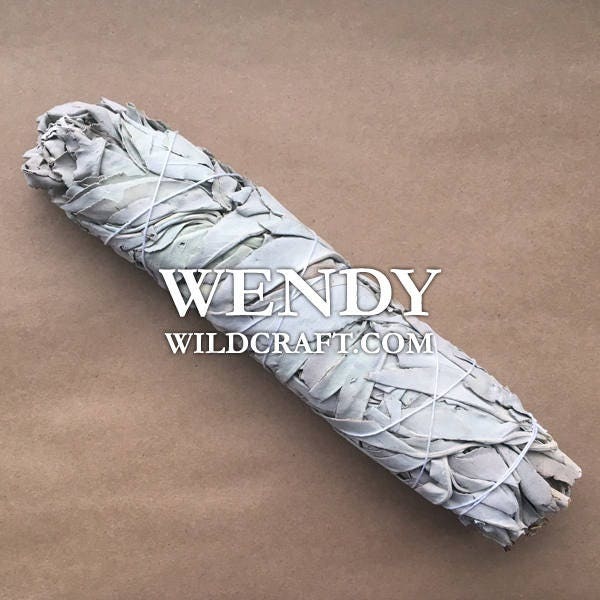 1 large white sage bundle. Approximately 9". These herb bundles are made with California white sage. To use a smudge stick light the end, gently blow out the flame when you feel it's good and lit. Slowly wave the herb bundle in circular motions as you move around the room, person, or object. Use a fire safe dish to catch any fallen ash. When you are done extinguish your herb bundle by tamping it in a fire safe bowl. These bundles are large and produce a lot of smoke. I recommend using them in large spaces or outdoors. This is my second time purchasing from Wendy's Shop. My items are always of the highest quality, and packaged extremely well. Shipping was extremely quick. Keep up the fantastic work! I will be back! I love the larger smudge sticks! This one is great quality and lovely scent!